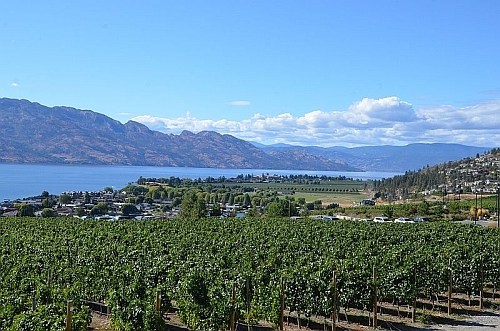 WestJet has dropped the price of their flights from Edmonton to Kelowna, BC down to $147 CAD roundtrip, including for July and August travel. Vice versa flights (Kelowna to Edmonton) are also available for $147 CAD roundtrip. - Look for the dates that are $161 roundtrip. TIP: For July dates, try starting with July 2, 9, 16, 23, or 30. For August dates, try starting with August 5, 6, 13, 19, 20, 21, or 27. 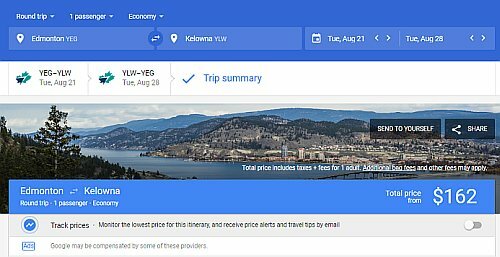 Update 6/20 - September and October flights from Edmonton to Kelowna are still available for $149 CAD roundtrip including taxes. There are also a few in August for $161 CAD roundtrip. - Look for the dates that are $151 to $162 roundtrip.